The Chamber hosted another successful event on October 1st. The 24th annual Chamber Golf Classic had a record number of golfers teeing off at the Harbor Lakes Golf Club, a 7,200-yard championship 18-hole course in the heart of Granbury. Our premier sponsor, Classic Chevrolet Buick GMC of Granbury, enlivened the competition with a special Hole-In-One shot on #12 with a brand new car up for grabs. The teams competed for individual and team prizes, including the sought after Traveling Trophies. These trophies carry the names of current and past winning teams that have garnered the bragging rights of highest gross and net scores. It’s about way more than just putting, however. “This tournament provides a great setting for our members to network with other businesses, take advantage of marketing opportunities and have a fun-filled afternoon,” says Mike Scott, President and CEO. During the event, many corporate sponsors were located at various greens offering mouth-watering delectables ranging from smoked ribs to grilled sausages to sweet treats. Lunch was provided by H-E-B to each player prior to the shotgun start. After play ended, an awards dinner consisting of a delicious make-your-own fajitas buffet was served in the banquet room while the bar kept the mood festive with Tequila Sunrises, Margaritas, and wine. 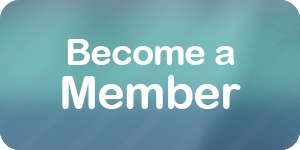 The Chamber encourages non-golfers to get involved in the tournament through sponsorships, volunteer positions, and raffle donations. This year’s raffle packages included a flat screen television, a BBQ grill with propane tank, rounds of golf, wine, gift cards and gift certificates, painting classes, waterpark passes, golf clubs and supplies, and much more. 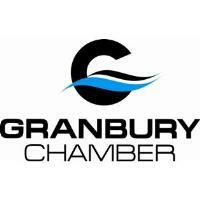 If your business is interested in playing, sponsoring, donating, or volunteering at the next Chamber Golf Classic, please contact Kim Vezo at 817-573-1622 or visit GranburyChamber.com.